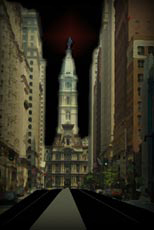 Crime/Suspense Novel set in South Philadelphia circa 1972. In 1972 gambling was on the horizon for Atlantic City. Joey “The Gimp” Giampietro from Philadelphia and Johnny Bellino from New York have plans – big plans. Bellino’s plan was simple the Gimp made it complex. Attempting to settle old scores first, the Gimp’s method of duplicity and contrivance unravels as it snakes its way through the bustling streets of South Philadelphia. It forces everyone in its path to seek resolution in the labyrinth of his or her conflicted lives. Some find sorrow and pain. Others find hope and love. A few find tragic death. The lucky ones get another chance. BUY THE BOOK NOW ON AMAZON.COM!